Ask author David Daley about last year’s election and he’ll say savvy Republican strategists decided it by reinventing one of the oldest political tricks in the book — gerrymandering. 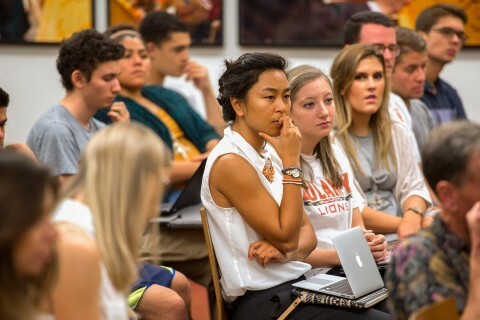 A discussion of national political reform and redistricting took place at Doheny Memorial Library. 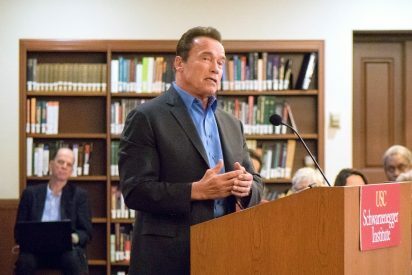 It was hosted by the USC Schwarzenegger Institute for State and Global Policy, housed at the USC Price School of Public Policy, with Common Cause and the League of Women Voters. Schwarzenegger, who live-streamed the discussion to 6,000 viewers on his Facebook page, noted that in the decade prior to California’s implementation of citizen redistricting in 2010, only one incumbent lost a seat in more than 500 elections. Since then, there has been a 26 percent turnover. Schwarzenegger explained how the “event is all about one thing” — and that’s to catalyze a national campaign for redistricting reform. USC is a great place to launch this whole thing. I think we can go nationwide with this and bring some sanity to our political system. He also pointed out that, while Daley’s book focuses on “Project REDMAP,” where republican strategists used gerrymandering to fix the game in their favor, gerrymandering is and has been used by both parties more interested in protecting their seat than being accountable to the voters. Schwarzenegger remains committed to redistricting reform that creates a fair system and does not favor either party, but puts the will of the people first. Daley, author of The True Story Behind the Secret Plan to Steal America’s Democracy, explained how Chris Jankowski of the Republican Senate Leadership Committee implemented the calculated Project REDMAP strategy following Barack Obama’s presidential election in 2008. 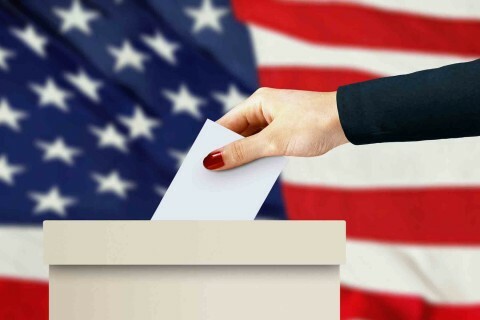 By targeting relatively inexpensive state races in 2010, Jankowski, with support from Karl Rove and other Republican strategists, was able to flip the majorities in 16 state legislatures from Democrat to Republican just in time for them to control drawing the district lines following the 2010 census. Gerrymandering has been going on since the 18th century, but with new technology from micro-targeting and computer-aided mapping techniques, it entered what Daley called the steroids era. After election day in 2010, Republicans controlled the drawing of 193 Congressional seats, Democrats controlled 44 and independent commissions determined 88. It was a dramatic reversal from the previous decade that favored Democrats 135 to 98. Today, the Republicans have the presidency, 69 of 99 legislative chambers, both houses in 35 states, a modern record of 33 governors and the trifecta of legislative chambers and the governor’s office in 25 states. Republicans succeeded in gerrymandering many of the swing states from the presidential election — Pennsylvania, Michigan, Ohio, Florida, North Carolina and Wisconsin. In 2012, once the gerrymandering was complete, the Republicans won 13 of Pennsylvania’s Congressional seats to five for the Democrats, despite receiving 100,000 fewer votes. Daley contends that the gerrymandered legislatures impacted Trump’s election despite losing the popular vote. Kathay Feng, national redistricting director of Common Cause, and Chris Carson, president of the League of Women Voters, joined Daley and Schwarzenegger to provide an overview of reform efforts. Congressional lines won’t be redrawn again until 2022, leaving legal challenges such as one in Wisconsin as the best hope for quick reform. Schwarzenegger noted that he is an optimistic person who has seen the country go through many major problems since he arrived in 1968 during the Vietnam War. He believes that political reform regarding redistricting can and will happen starting at a grassroots level. Panelists at ‘Hindsight 2016’ look at the influence of social media, the national expression of anger and what it all may mean going forward. 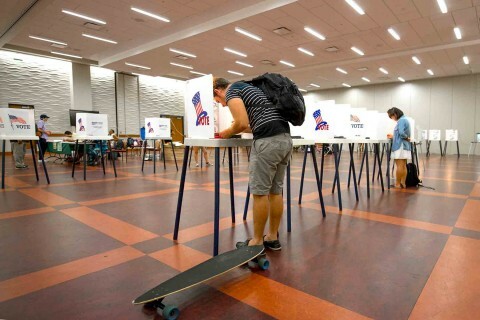 Tuesday’s election brought anxiety and uncertainty to some students, many of whom had just voted for the first time. Election 2016: What happened and what’s next? USC experts weigh in on the stunning results from the hard-fought presidential election. After a campaign that at times seemed endless, voting gets underway.